Whoever said that please take it back. May I remind you we live in litigious times. 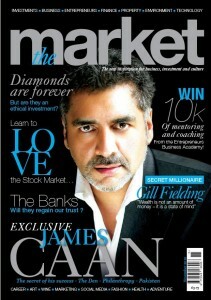 I recently starting writing for a new publication called The Market Magazine. It bills itself as “The Economist meets Grazia” and is a most excellent read. Of course I would say that. But it’s also true. Oh look, here it is (not acutal size). Every month I contribute a essay on current affairs. In light of the recent student dissent and organised protests against corporate tax dodgers, I wrote an article about the nature of protest and whether in fact it works. Here it is, complete with pictures for the hard of concentrating. Thou Doth Protest: Protesting may be the new black – but is it effective? A new era of civil unrest has descended upon us. Last month 50,000 students turned out for an NUS-backed march in London which escalated into violence as a smaller group ransacked the Conservative Party Headquarters. In Ireland tens of thousands of people have taken to the streets in protest at the country’s £12b austerity plans. And in October a protest coordinated on Twitter against Vodafone’s apparent refusal to pay taxes due culminated in seventy people shutting down the company’s flagship store on Oxford Street. The people of Britain are angry. Swingeing cuts mean students will have to pay tuition fees of up to £9,000 a year. The public sector is to shed half a million jobs, and there are few signs of job creation elsewhere. 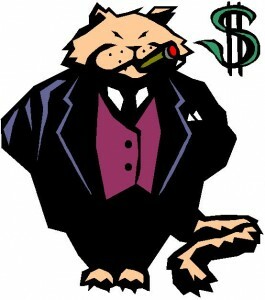 Bankruptcies and homelessness are set to rise. Meanwhile the bankers who contributed to this mess feast upon bonuses served up by the taxpayer. For those who feel wronged but powerless, protest is the only way for their voices heard to be heard. It is a vital outlet for the frustrated – and an indicator of a healthy democracy. We are lucky enough to live in a country where freedom of speech is an inalienable right and where there is little to stop us marching on Downing Street or standing at the end of the road holding a placard. The question is: does it change anything? “Never doubt that a small group of thoughtful people could change the world. Indeed, it’s the only thing that has.” So said Margaret Mead, renowned American cultural anthropologist. 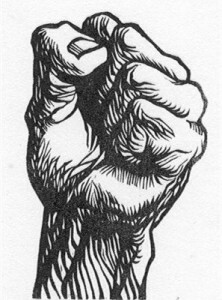 The history of protest is a rich one dating back to the Peasants’ Revolt of 1381, via 19th century philosopher Henry David Thoreau’s more moderate approach he called ‘civil disobedience’, right through to Mahatma Gandi, the Civil Rights movement of the 60s and the Poll Tax Riots of 1990. How do we correlate the actions of protestors with what follows? Sometimes the line is clear. 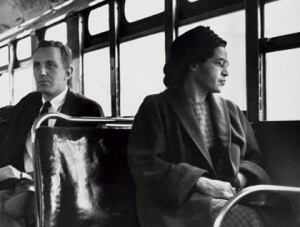 In 1955 a black woman from Alabama named Rosa Parks refused to relinquish her seat at the front of the bus to a white person. 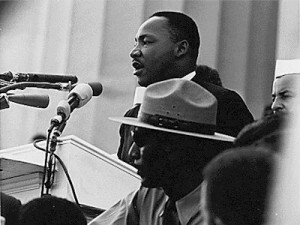 Her action inspired a year-long boycott of the Montgomery bus system. The following year the Supreme Court banned all segregation on public transport. 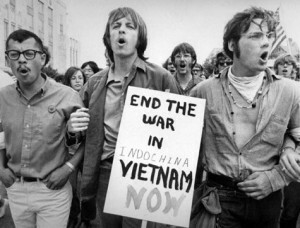 The Vietnam War was characterised by mass protest spanning 13 years. Some have doubted the impact of people power in the curtailing of this empty conflict, yet papers released years later by the Pentagon indicate Washington’s deep concern about public opinion. They also indicate President Johnson’s anxiety for his personal safety had gone through with his plan to launch a nuclear attack on Vietnam. That is the difficulty when attempting to calibrate the impact of protest: sometimes its effects are immediate whilst in other cases it may take decades before the truth is known. Sometimes of course there is no effect, but not often. You just have to look hard to find it. In February 2003 two million people marched through Hyde Park in protest at the Iraq War. Playwright Harold Pinter spoke and galvanised the protestors, and the media coverage was immense. Yet the war still took place. Perhaps the rally did not prevent the subsequent invasion but it did help shape the debate. We can be certain that the sheer weight of public opinion opposing a war on such an apparently weak premise means that any government that tries a similar trick in the next few decades will suffer the severest consequences. Even the tragedy of Tiananmen Square has a legacy. 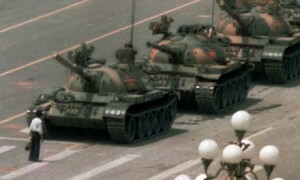 The image of an unknown man standing firm before of a battalion of tanks is forever etched into the psyche of the West. The protest may not have changed the lives of the Chinese people but the response of the country’s military acts as a reminder of the tyrannies of this Communist regime and has undoubtedly influenced international opinion towards it. There does appear to be a contagious quality to the current fever of unrest sweeping the nation. One riot begets another. The sporadic violence that has accompanied some of these scenes can never be condoned, but it is certainly one way to get noticed. “Street power can get out of hand and subvert the democratic process,” says former American diplomat, Chester Crocker. Unquestionably a protest that turns nasty can become part of the problem and distract from the message. Yet the conundrum is that an entirely peaceful protest is generally ignored by the media. When NUS President Aaron Porter initially condemned the intensity of the last month’s protest he was roundly condemned by his fellow students who called for his resignation. He has since apologised for his “spineless” lack of support. Mr Porter missed the point that it was precisely the vociferous nature of the protests that gave the students their best chance of being heard. Of course if the fire extinguisher that was hurled from the top of Millbank Tower had landed on a policeman and not next to one, the rules of engagement would have changed – but thankfully that didn’t happened. No one can be certain their protest will achieve the desired outcome. The act of protest is a leap of faith. But for the impotent and powerless it remains the only agent of change.